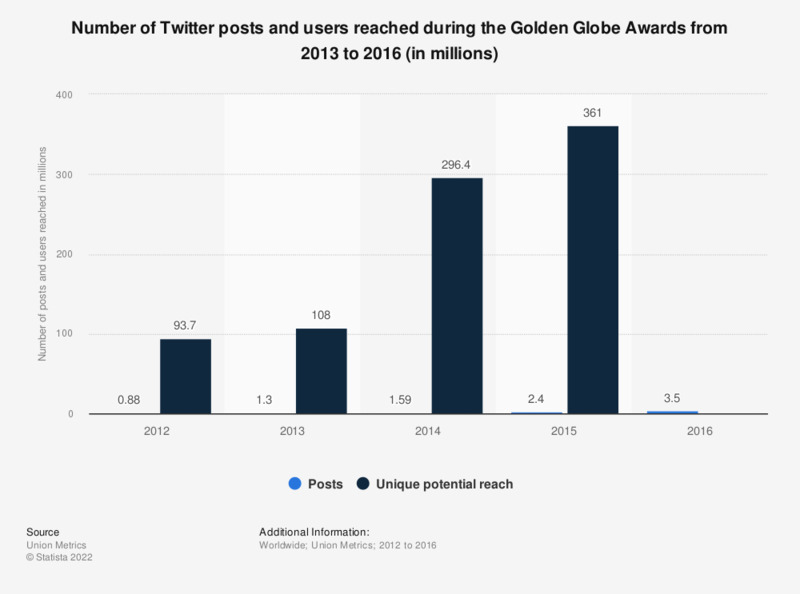 This graph shows the number of Twitter posts and users reached during the Golden Globe Awards from 2012 to and 2016. According to the source, approximately 3.5 million tweets about the Golden Globes were sent on the day of the ceremony in 2016. Figures prior to 2015 from prior publications.